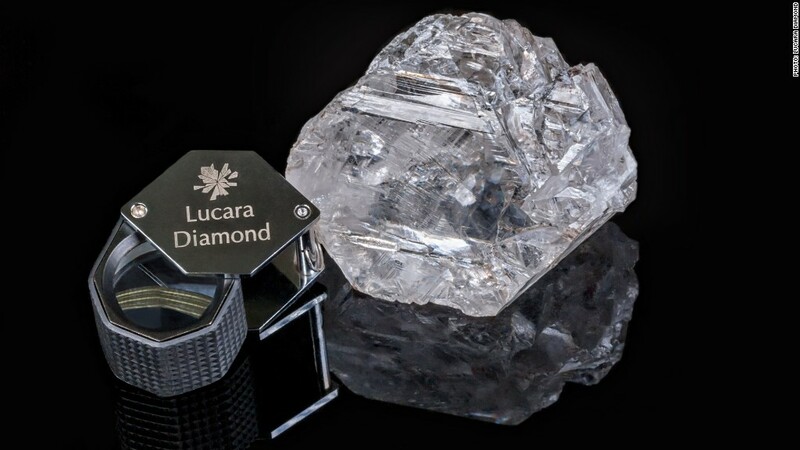 Canadian mining firm Lucara has sold a massive 813-carat diamond for $63 million, a new record for a rough gem. The diamond -- called "The Constellation" -- was pulled out of a mine in Botswana in November 2015. The stone was purchased by Dubai-based Nemesis International DMCC. Lucara (LUCRF) said that it has retained a 10% interest in the gem, allowing it to profit from further transactions after "The Constellation" is polished and cut. 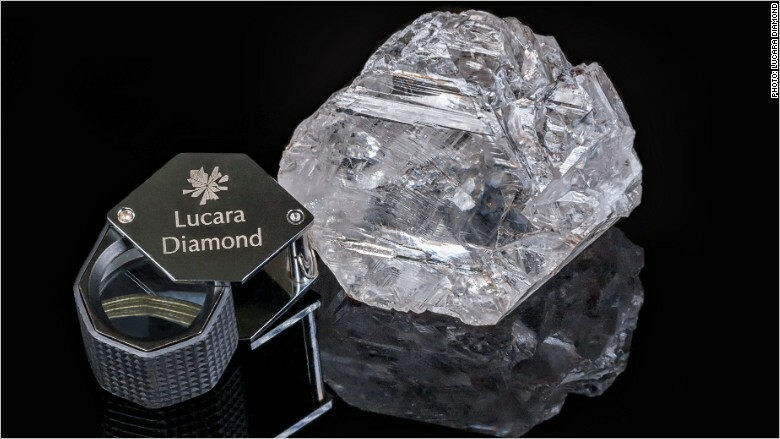 The record sale is likely to ramp up speculation about how much a second Lucara diamond -- the "Lesedi la Rona" -- will fetch at auction next month. That gem, sourced from the same mine, is the second biggest ever discovered at 1,109-carats. The "Lesedi la Rona" is roughly the size of a tennis ball, and is expected to sell for at least $70 million on June 29. The stone is so large that it does not fit into conventional scanners used to evaluate a gem's value. "Not only is the rough superlative in size and quality, but no rough even remotely of this scale has ever been offered before at public auction," said David Bennett of Sotheby's, which will conduct the sale. The 1,109-carat "Lesedi la Rona" will be auctioned in June. Lucara shares have risen nearly 70% over the past three months. The world's largest diamond is the 3,106-carat "Cullinan Diamond" found in South Africa in 1905. The "First Star of Africa," which now adorns Britain's Royal Scepter, was cut from the stone.